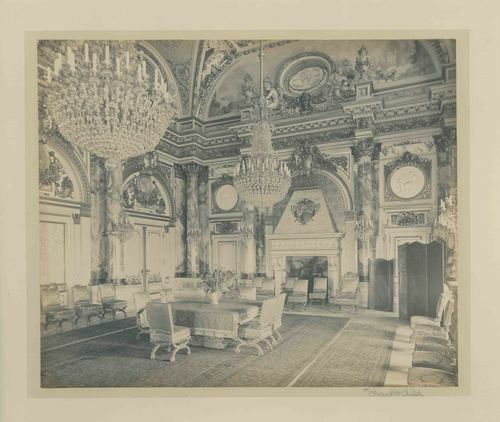 Photograph of the dining room at The Breakers. The room is ornately decorated with large chandeliers hanging from the ceiling. Chairs line the sides of the room, and a formal table is set in the center.